Jon Athan: February 2016: Free Books of the Month! February 2016: Free Books of the Month! This month, you can grab two of my anthologies for free. That's correct: free. To show my appreciation to you, the amazing reader, I've decided to give some books away for free — and I hope to do this a bit more frequently. I think it will help promote some of my future books and it'll obviously bring you a free book — we both win! For example, The Harbinger of Vengeance: A Revenge Thriller is releasing February 12, 2016. You should pre-order it. (please) I hope you enjoy and show some appreciation by leaving an honest review if you like the books. Thanks and happy reading! Free Days: February 1st through February 5th. 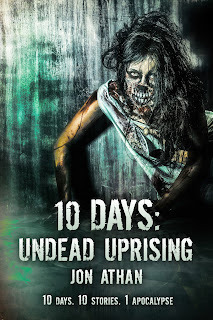 Synopsis: An interconnected zombie horror anthology with ten terrifying stories. Each story connects to tell the tale of one massive zombie apocalypse. 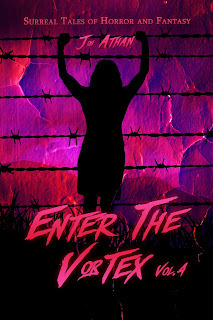 Will you enter The Vortex? Free Days: February 6th through February 10th. Synopsis: An anthology blending horror, fantasy, and surrealism. Each story tells an unpredictable tale brimming with suspense and terror. If you're looking for something with twists, here's your stop. Writing Updates for February 2016! "The Harbinger of Vengeance" is available now!